A wheelchair accessible shuttle will be located in Muirfield Square located at the corner of Muirfield and Memorial Drive (state-issued placard required). The shuttle will drop off at the Muirfield Village Golf Club entrance off Memorial Drive (Main Gate) along the West side of the driving range. 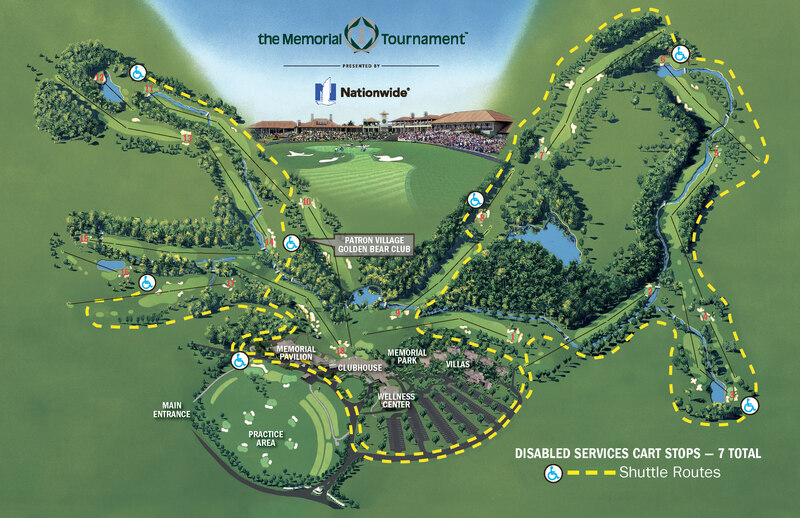 The Muirfield Village Golf Club entrance off Memorial Drive (Main Gate) will be the only wheelchair accessible shuttle pick-up and drop-off location.